It’ll be 3 years this September since I started learning Italian. While I’m not yet fully fluent (getting there), I’m enjoying the journey of discovering the best way to learn Italian. Italian’s a language I’d only ever thought about learning as a hobby. I’d never imagined I’d be speaking it daily, sometimes more often than English. Saying that, I often surprise myself with my level of vocabulary, and also how much I can understand. Learning a new language can be daunting, and at times, frustrating. However, once you start to understand the basics, and begin to widen your vocabulary, things start to make sense. I wouldn’t say they become ‘easier’ as I’ve still days when my brain simply refuses to function in Italian. 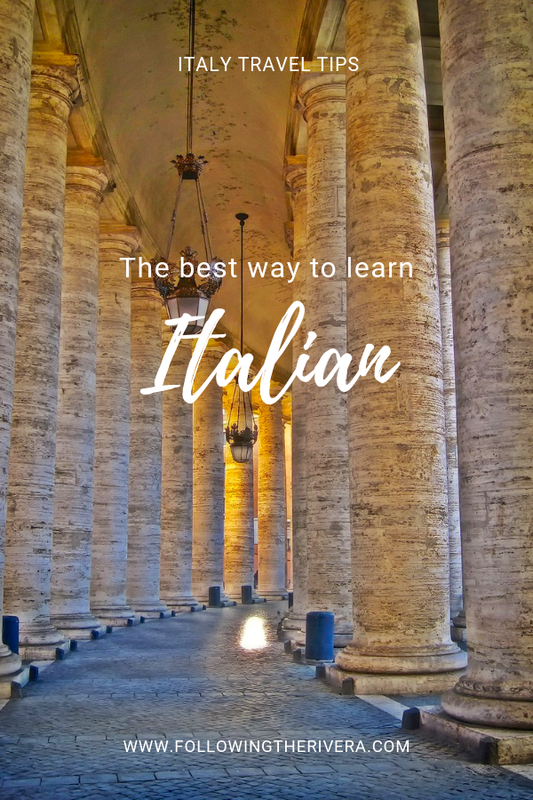 If you’re also thinking about learning Italian, you may find the following tips and advice helpful. If you know another Latin-based language (ie French, Portuguese), learning Italian can be slightly easier. Speaking Spanish did give me a head start, but only slightly because I still tend to confuse the two! While the root of the word may be similar, ultimately, they’re 2 different languages. It isn’t hard to learn Italian — it’s hard to stay motivated, and not give up when things get difficult. Italian friends tell me how tired they get of speaking in English, even sometimes getting a headache! This is normal for both sides but stick to the process and you’ll get there eventually. 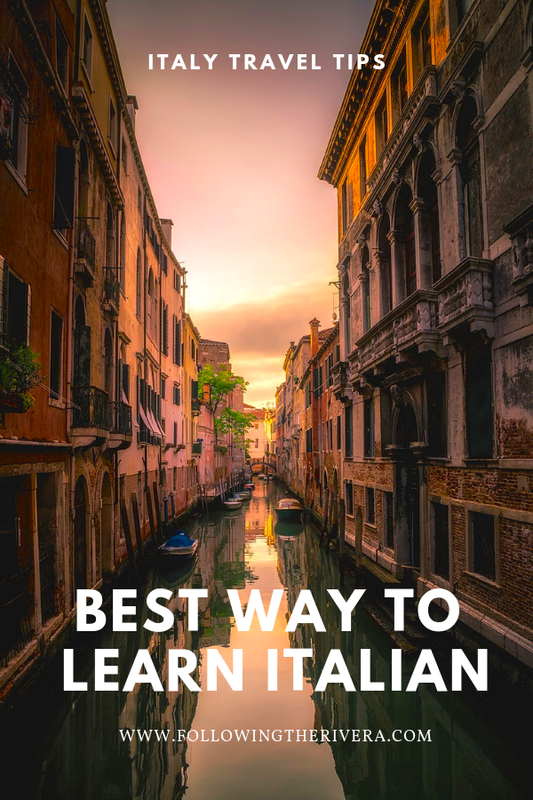 If you’re learning Italian completely from scratch, taking a course, like those offered at Listen and Learn is a good start. Studying in a group setting, and with others at the same language level, makes it less overwhelming, and more fun. What’s more, you can ask your teacher about any questions you have and get an answer straight away. Taking a language course also allows you to see, and understand, the difference in pronunciation. This can make the world of difference, as some Italian words and phrases are tricky to pronounce! Using a language app is another way of learning Italian. I wouldn’t say it’s the best way, because it misses out on key elements — namely human interaction. Repeating phrases with a robotic voice have nothing on conversing in real time with an expert tutor! Language apps are good as a side resource. They fill in the gaps between classes and are useful for refreshing your memory on a subject. There are plenty of excellent resources that’ll help you improve your language skills day by day. One of the best ways to learn Italian is by watching Italian films and videos. If possible, I also advise listening to popular Italian artists at least once a day. Lookup Antonello Venditi and Mina. You can hear the Italian words clearly, which will also help your development. Finding films or music that are in line with your preferred taste shouldn’t be the driving force here. Looking for content in which the actors/singers speak well, and clearly, should be your primary focus. Once you get into a routine of listening/watching this type of content, your brain will slowly get accustomed to Italian. When I first started learning Italian, I also found it useful to listen to podcasts. There are tons of good ones online, and for every level too. 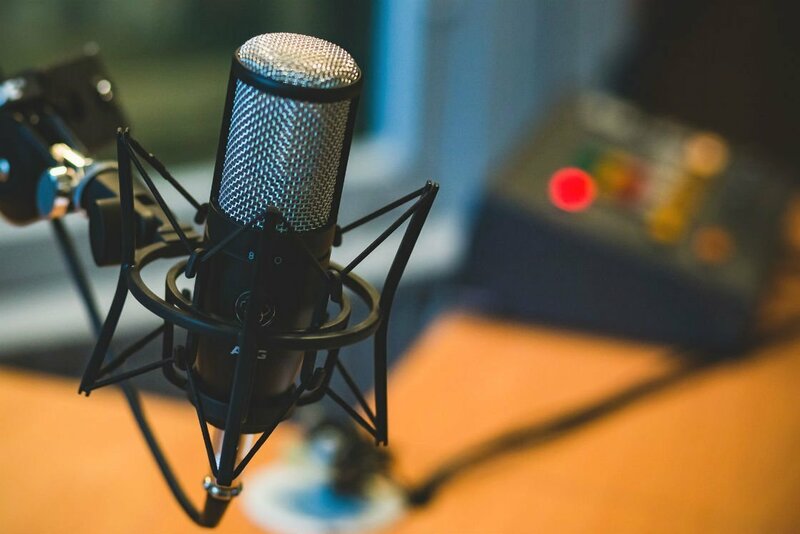 The beauty of having a podcast, is that you can listen to it anywhere. I listened to several at the beginning, while on the train, walking to work, and even in the gym. Ultimately, the best way to learn Italian is just to start speaking. Practicing a new language is essential and holds the key to speaking fluently. 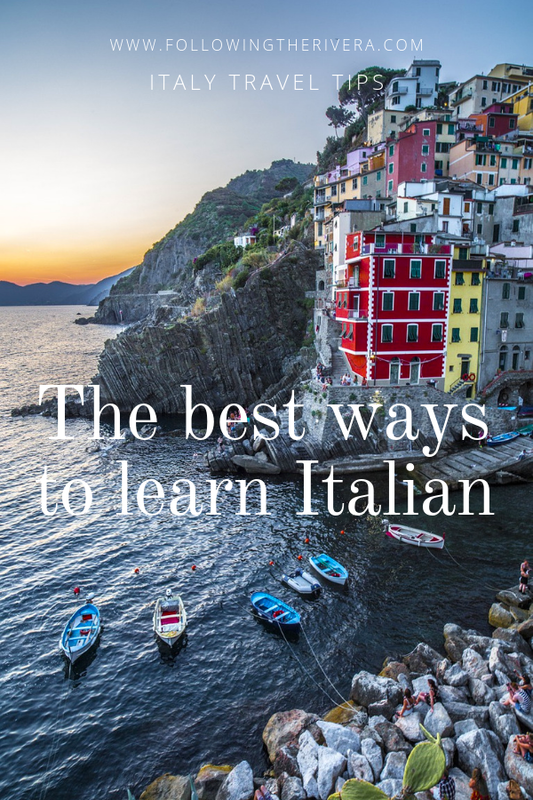 Even if you don’t have Italian friends, or a partner, it’s still possible to learn the language. Be sure to grab any opportunity you can to converse. Ask classmates in your language course whether they’d be keen to meet up outside and practice over a coffee. 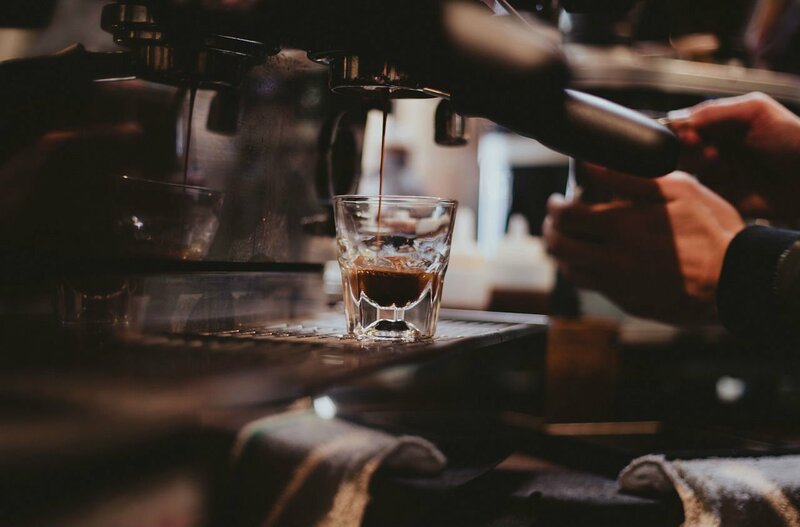 Visit your local Italian café or deli and begin greeting the barista or owner with ‘ciao’. You can also search for Italian-speaking conversational meetups in your area and commit to attending regularly. Truthfully speaking, conversing in a language other than your own for the first time is utterly terrifying. You’ll make countless mistakes, stutter, experience prolonged moments of silence and at times, just go blank. However, once you get to a point where you can converse, you’ll see things in a different light. Doors will open, literally and figuratively. Speaking Italian has helped me make new [Italian] contacts and secure potential clients at an international travel event. 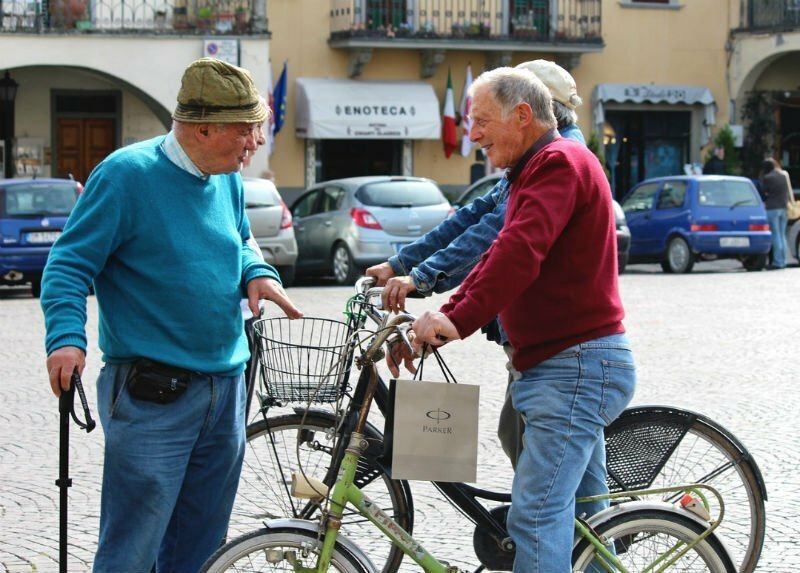 It’s also helped me to feel part of a community whenever we’re back in Italy, rather than as an outsider. And it’s that feeling of belonging that drives me to be fluent in Italian one day, and one day soon. Would you like to learn Italian? Maybe you’ve already started. Whichever way, leave me a comment below, I’d love to read them. Disclosure: This is a collaborative post. It may contain affiliate links, which means I may receive a commission if you click a link and purchase something that I’ve recommended. Thank you for your continued support. I actually tried learning Italian once, and I gave up. I think I was just approaching it in the wrong way. Thanks for these tips! OMG, I’ve always wanted to learn another language. I speak Spanish, so I imagine Italian would be easy. I do know very little Italian but, can communicate. Good for you that you started learning Italian. I love this language and always wanted to be able to speak it, but I’ve never put any effort into it (shame on me!) For me it wouldn’t be too difficult to learn, as my native tongue is Romanian and the two are very similar. But I’d still need to take a course to learn it properly. I guess immersing yourself in the culture would be the best way to learn. Thanks for the tips! I had never thought of using language apps before, what a great idea! i would love to learn another language but sometimes i feel like i’m just too old LOL. great job! I love Italy and would love to learn italian. The accent and tone they speak is just so melodic and nice to hear. First Spanish and after Italian is on my list to learn. Oh yeah. Learning any new language can be really daunting. I’m in the process of and struggling with 2 new languages in my life right now. As you say, it’s the motivation that is needed which unfortunately I lack a bit! Stick with it, you’ll get there eventually! To be honest, right now I’m good on listening to people talking in Italian. I like the accent and the emotion when they talk. One of the lively language, in my opinion. When I find myself wanting to learn the language, this tips will come in handy. I would love to learn Italian. I did a weeks course in Quito Ecuador when I was travelling around South America and it did help. I have also used Duolingo to assist and when I am stuck Google Translate. Thanks for the information. Although I don’t have a knack for languages, my daughter does. She recently took part in an Italian learning competition and came 4th. It’s interesting that you mention that people who have a latin base will find it easier because she is also learning French as part of her school syllabus and that could be one reason why she was able to do well. Aw well done to her! She sounds like a linguist! I’d love to learn! I have downloaded language apps before but have always gotten lazy. This is a good reminder that it’s easy if you are consistent! I would love to learn a new language. I took many years of two languages in school but still don’t speak either one fluently. I’m currently working on improving my Spanish. I think these are good tips for learning any language. I need to find some podcasts in Spanish. I do an app, duolingo, but I agree that listening to a robotic voice just isn’t the same. Although English is my favourite foreign language, I would love to learn Italian one day! Staying motivated to learn a new language is definitely the hardest part IMO. I speak, read, and write both English and Japanese and I often think about learning a third language…but I tend to get lazy and never make it past a week of learning a new language. I learned French and Spanish when I was younger, and they are similar to Italian from what I understand. 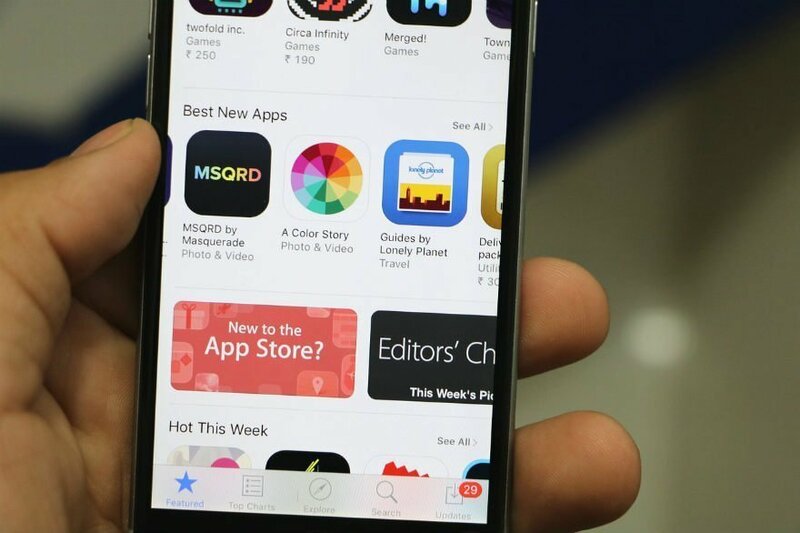 I should get some of those apps and give it a try! I would love to learn a new language! Immersing yourself around the language would greatly help! I love how dedicated you are to learning a new language! Italian seems like it could be a difficult language to learn. I would love to learn Spanish, and it would be very useful for when we travel. Thank you for sharing this. One of my 2019 goals is to learn a new language. I will incorporate your tips into my strategy. I would love to learn Italian! I actually took an Italian class many years ago and found it easy to understand because I studied French but sometimes I would think of the French word when speaking. This reminds me that I need to continue my studies one day! Aw pick up om your French again, I’m sure you can remember it still! Learning Italian has been on the top of my list for a long time. 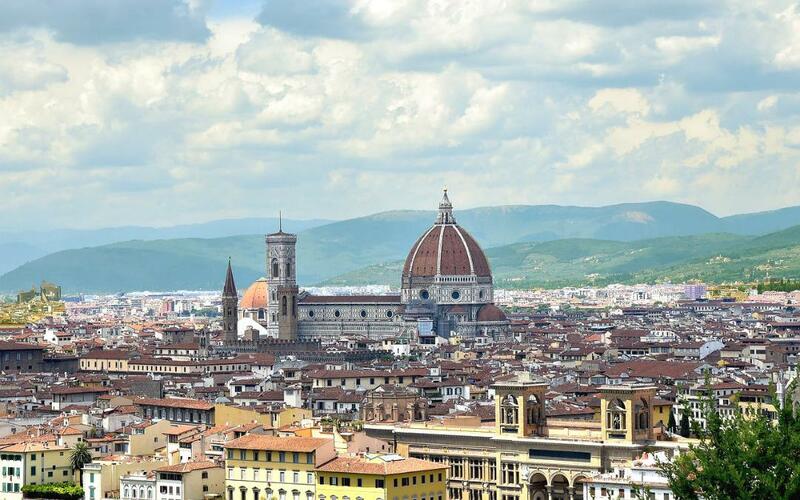 It may be a while until I am able to travel to Italy and experience the culture, but I’m definitely going to check out the apps and courses in the meantime. Great tips! Learning another language is the best way to keep the mind sharp. I haven’t tried my hand at any other foreign language but i think I would want to do it. I have few friends of mine who are learning Italian and I can understand your struggles, similar to theirs. But you rightly said, one should not give up when it starts getting tough. I always wanted to learn Italian but in school I took Spanish instead. It seemed much easier for me to choose that one since I was around a lot of Spanish speaking people. I think it great to know a few different languages even if it is the basics. Keep going. My mom and I just had a conversation about this as we’re both hoping to learn a new language. Italian is one of my choices since we often travel to Italy. Thank you for sharing these tips. Will definitely keep them in mind. I’m on a constant journey of improving my Spanish, especially since I’m focusing on South America this year, and these are great tips! Do you have any favorite language apps? I use Duolingo but wondering if there’s anything better out there. I haven’t thought to listen to podcasts in the foreign language you’re trying to learn before, so I’m going to go see what Spanish podcasts are available out there! Great tips for learning any foreign language – thank you! You’re welcome Diana! I like Duolingo, and it’s great as a side reminder. I did use another one at the start, but will need to get back to you about the name! Keep going with the Spanish! We have been to Italy several times. And every time I wish I spent time learning more Italian. Interesting to hear your first suggestion is to take a class. But I understand your point about hearing the pronunciation. And having an actual dialogue. 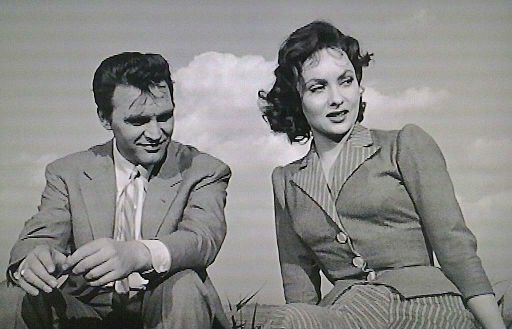 I love the idea of watching Italian films to help you practice your listening. You have inspired me to work on this again. I have always wanted to learn a new language! Italian is such a beautiful one and I wish I found it a lot easier to pick up! I will be sure to follow some of your tips!